← Bee Propolis: Maybe it helps? I’m now super diligent about getting back on track with my Ig medicine. 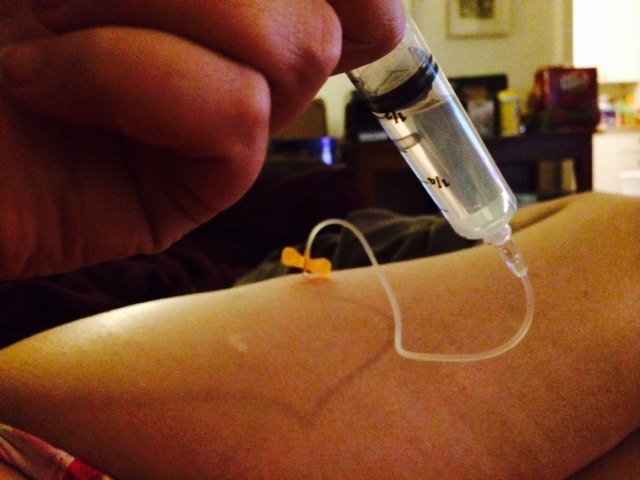 I’m just not sure if this is the correct spot to inject the medicine in my leg though… I think it’s okay. I don’t think it matters too much. 2014 was one of the best years I’ve had in a long time. I did the *least* amount of antibiotics overall, and I had the *fewest* amount of hospital stays.